I first saw Stonehenge in 1966, on the day England won the world cup. 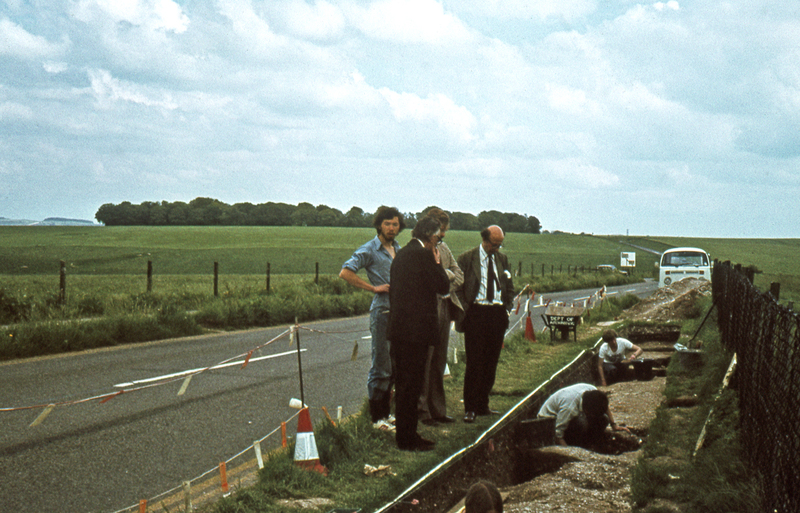 After reading Richard Atkinson’s 1956 book on the monument I decided I wanted to be an archaeologist, and to my complete astonishment, in 1979 I found myself directing an excavation there (a story I have told in Hengeworld, and elsewhere: right of centre in the photo above you can see the Heelstone in the distance, shimmering against the rising sun – we showed there used to be a stone in the space to its left). One way and another I have never really been able to escape from the stones, and much of my journalism, photography and original research has been inspired by the place. You will find all my Stonehenge posts here. I’ve answered quite a few common questions about Stonehenge on the Welcome page. This rant about a TV production, and what’s really going on at Stonehenge, was one of my post popular blogs ever: Operation Stonehenge: what the TV films left out (October 7 2014). The dead of Stonehenge (with C Willis, P Marshall, J McKinley, J Pollard, C Richards, J Richards, J Thomas, T Waldron, K Welham & M Parker Pearson). Antiquity 90, 337–56. The Stonehenge people: senior and high status… and not all men (with M Parker Pearson, C Willis et al). British Archaeology 147, 26–33. New era for Stonehenge (with C Chippindale, C Gosden, N James & C Scarre). Antiquity 88, 644–57. Seven (new) things to do when you visit Stonehenge. 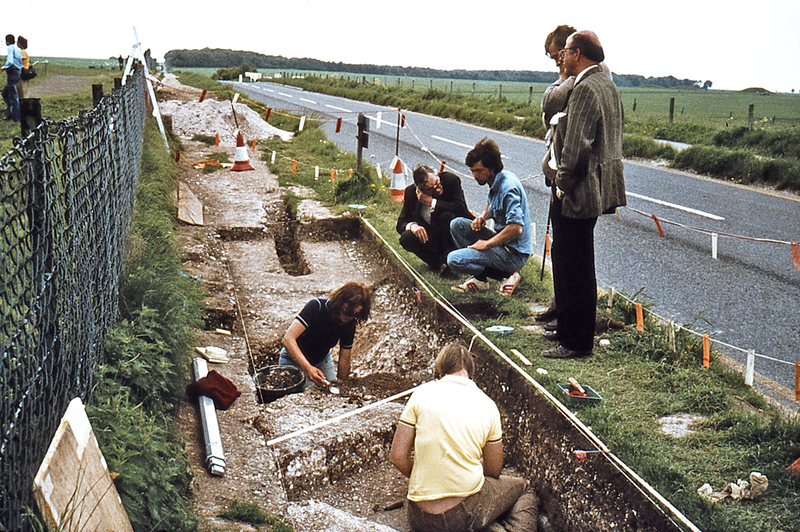 British Archaeology 137, 16–23. Would they move the large rocks during the winter over the frozen ground to stonehenge to set them in the summer ? No – the climate was as warm if not warmer than now. I’ve more on my blog http://www.sarsen.org about moving the rocks. I think that to answer how rocks were moved we should answer how the 67 ft megalith at Carnac was moved-this is another order of difficulty.Stonehenge must have been a piece of cheese in comparison. I just saw you in a reportage about Stonehenge here on German TV. Some folks there were trying to lift up bigger stones with the help of bigger pieces of woods (truncs) in order to find out how the “ancients” might have managed to build these megalithic structures like Stonehenge. You were also interviewed in this reportage.. The ancient pyramids are probably even a bigger mystery. But for those with open eyes and ears no secret will remain for all too long..
Let me tell you that I had actually watched a really good reportage about the ancient giants (= nephilim) and that they were the teachers and rulers of mankind at one point in time. These giants were also the beings who built these ancient megalithic structures. Unfortunately or fortunately humanity did erase these giants during the “giant wars”. This did occur long before the Great Flood where God Himself then destroyed 99.9% of the world population. You might remember the famous story of “David vs. Goliath”. Goliath was one of these ancient giants. These giants had super brain capabilities (due to their larger heads and brains), and they were also much stronger, bigger and faster than we “standard humans”. So they usually took over and ruled society. But this has been no coincidence given the fact that these giants were the late offspring of the Annunaki “gods” that had come from “heaven”. So, they regularly considered themselves as something better and more special and they knew about their origin in comparison to us “standard” humans. However, the standard humans frequently visited them to learn from them and sometimes forge cooperations. Many giants, – according to my information – were quite friendly and cooperative. Giants did usually live in small communes, far away from the “ordinary / standard ” human settlements. They did not like to be constantly around with us. Why, I have no idea.. Interestingly, giants used to smell a lot and they did live totally different life styles than we do.. The giants knew a lot about the ancient energy lines within earth. They knew and understood the sciences and mathematics far better than we do, even today. The giants did probably also understand concepts like levitation space travel, wormholes, quantum mechanics, concepts of creation, etc. We humans are probably simply too naiv and at the same time too blind about our own mistkes and weaknesses and we do not even remember our very own past! Instead we have been having war after war after war as if our standard human generations have not learnt nothing at all.. This is just my obseveration. Apologies if I am wrong. Maybe the giants had been “fallen” too, and maybe this is why they potentially had difficulties on earth. Maybe this is why they got extinct themselves in the end.. In any case, don’t forget that we all – all of humanity – have actually always been related and connected to each other one way or another. I observe at the same time that even we “modern day people” forget this fact. real archaeology and anthropological evidence from the Stonehenge landscape where I’ve lived and worked these last six years. Marden, Durrington and Avebury are featured. When it comes out in the Autumn you can have a copy, Mike. I’d be curious to see what you think! My gold Mercy Seat (2.5c-1.5c), my gold Ark of the Testimony (2.5c-1.5c-1.5c), my gold Table for the Shewbread (2c-1c-1.5c), my gold Candlestick, my gold Ephod-Girdle, my gold Breastplate, and my gold Altar of Incense (1c-1c-2c), are there. Good news mates. Druid leader King Arthur Pendragon does not oppose Radiocarbon (C-14) dating of Jewish Moses’ bones and Rev. Washington’s artefacts below Heelstone. (BBC News-16 May 2013). King Arthur Pendragon claims the Druid cremated bones (2008) are remains of the royal line, but not Jewish Moses’ bones (2013) and other Rev. Washington’s artefacts. “We shall not take this development lightly and will oppose any such intention by English Heritage at Stonehenge,” said King Arthur Pendragon. Hi Mike. Really good site. Good work. Me and a friend are trying to work out which of the “Stonehenges” (I assume it must be a good replica somewhere) is the one being constructed in the photos on the page below. I’ve pretty much ignored the text which accompanies the photos. It’s just the photos which are baffling. Any light on this would be welcome. Cheers. 1. Stonehenge was around before the 20th century: there are late medieval illustrations that show it looking pretty much as it does today, and a survey done in 1740 showing it almost exactly as it is now. 2. Much of Salisbury Plain has been under military use since the late 19th century, a function of it being what was then the largest area of barely inhabited open land in southern England – and ever since almost completely uninhabited. Stonehenge is immediately south of that area, so the site, or the immediate environs, have inevitably got caught up in various military activities from time to time. But there is no link between Stonehenge and the military. 3. There was a major restoration programme (not the first) at Stonehenge in the late 1950s. Stones known to have fallen in recent times were re-erected and set in concrete. It’s all been widely described, one recent example being in my preface to James O Davies’ book of Stonehenge photos published last year by English Heritage. Cheers Mike. That clears that up. I never gave the claims much attention. It was the photos that baffled me. So thanks for the reply. I’m well aware that some renovations of historical sites often change considerably said sites. I’d love to hear what you have to say on that issue. I’m also aware that it can be a touchy and controversial subject in your profession. Superficially, at least, things have been pretty well done at Stonehenge, in that restoration has not sought to change or rebuild the monument – it really does now look pretty much as it did before 1797 (three stones that fell then were repositioned in 1958), the main differences being relatively minor surface damage and weathering and one or two visible patches of concrete. What is more controversial is how the work was done, as in both of the major restoration events (1920s and 1958–64) archaeological intervention went beyond what was strictly required for reasons of conservation, and was not always well done even by standards of the time. Where did you see it? Assuming it’s what I think it is the film was about one of three sewn boat experiments done at around the same time. The Morgawr is a full-scale “replica” based on remains from Ferriby, launched in Falmouth in 2013. She was made with replica bronze age tools (see British Archaeology May/Jun 2013/130, page 8). I don’t know of any academic publications about the project yet. A half-scale replica was made of the bronze age Dover boat in Kent, and successfully launched in the sea in late 2013; British Archaeology featured the project in the Sep/Oct 2012/126 edition (search online for Dover boat “Beyond the Horizon”). A third was made specifically for a TV film which has not yet been broadcast: a proper sewn boat, but not documented in the same way as the other two. I guess it has been broadcast then! I was brought in to talk about the boat that was made in Wales (and impressive it was), but I wasn’t involved with its construction. The key people to talk to are those who took part in the Falmouth and Dover projects, both of which you can find online. When I’ve seen the film, I might post some photos I took at the time. I am currently conducting a multi-tiered research project on burials at Stonehenge as a project for one of my undergraduate courses at Juniata College. I would love to interview you via Skype, phone call, or email. What is the best way I can contact you?